Today, U.S. Representative Harold “Hal” Rogers (KY-05) kicked off the inaugural National Rx Drug Abuse Summit hosted by the southern and eastern Kentucky non-profit anti-drug organization, Operation UNITE in Orlando, Florida. 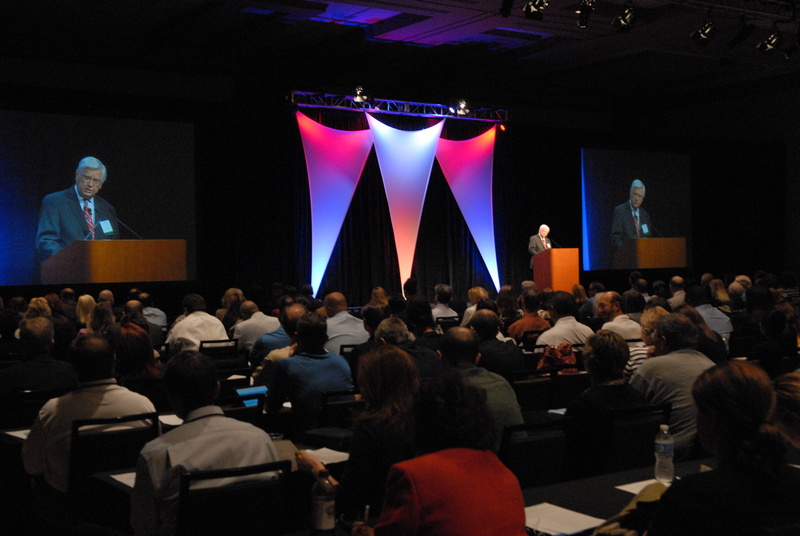 Approximately 700 people are attending the Summit, which ends Thursday, April 12th. "We are here to join forces on an epidemic that quietly began in rural parts of Kentucky, West Virginia and Virginia one doctor's office at a time and now grips every corner of our great nation in prolific fashion," said Rogers. "When we leave Florida this week, we need everyone on board, echoing the same message we started with when UNITE launched in 2003: 'If you're thinking about using drugs, get educated; If you're already addicted, get help; If you're a drug dealer, get out.'" Following Rogers, leaders from across the nation spoke at the Summit, including Kentucky's Governor Steve Beshear; the Chairman and CEO of the Community Anti-Drug Coalitions of America (CADCA), Major General Arthur Dean; the U.S. Surgeon General, Dr. Regina Benjamin; the Director of the Office of National Drug Control Policy (ONDCP), Gil Kerlikowske; and the Deputy Assistant Administrator of the Drug Enforcement Administration's Office of Diversion Control, Joseph Rannazzisi. On Wednesday, April 11th Rogers joins the President & CEO of The Partnership at Drugfree.org, Steve Pasierb for "A Conversation About the Realities of Rx Drug Abuse." Pasierb and Rogers will wrap up the conversation with questions from the audience. On Thursday, April 12th Rogers will participate in the conference finale, a "Forum of the Congressional Caucus on Prescription Drug Abuse." Florida Attorney General Pam Bondi will moderate the forum with presenters including Rogers' caucus colleagues, U.S. Rep. Mary Bono-Mack (CA-45), U.S. Rep. Nick Rahall (WV-03), and U.S. Rep. Jack Kingston (GA-01). After the forum, caucus members will host a news conference.